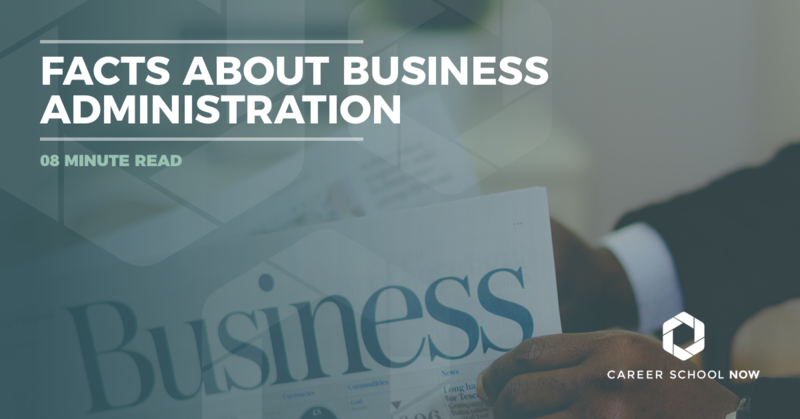 When talking about business administration, it’s hard to define exactly which niche it belongs to because of all the areas it touches. To succeed, every business needs someone with expertise in business administration. It’s no wonder that business degrees are among the most popular in the United States, you can find a career in almost any industry with one! Business administration is a college or university program designed to prepare an individual for a career in business. The program typically focuses on areas relating to business theory, practices, and management. Business administration encompasses a wide variety of related career choices such as financial, human resource, marketing management, healthcare administration, and more. It’s hard to pigeon-hole someone holding a degree in business administration because of how many different career opportunities are open to them. Essentially, a business administrator efficiently organizes the people and other resources of a business to best direct it into profitability. Find an online business admin program. Day-to-day duties may vary depending on the exact position of the business administrator. However, most business administrators play a highly active role in the going-on's of the business where they may be CEO, general manager, or operations manager. They are usually quite knowledgeable in several areas such as accounting, marketing, sales, finance, and human resource. Careers in business aren’t right for everybody. Because a business administrator is part of so many areas within different businesses, and they are necessary in so many fields, there are definite skills and traits a talented business administrator should possess. They are the go-to gal (or guy), and therefore should embody someone a team would be happy to follow along with toward a successful end-goal. A Leader: Business administrators need strong leadership skills in order to motivate others so a common goal is achieved. They need to be able to command a room. Many are born leaders but it is also a learned skill that can be taught, as well as fine-tuned through studying. Assertive: A business administrator can not be a passive person, they have to have a ‘go out and get them’ type of personality. Assertive can also be defined as aggressive, ambitious, savvy, and active. Anything less and chances are you’ll get stepped on by someone else’s climb to the top. Critical Thinking: Problem-solving on a multitude of levels is part of the job description. Taking in whatever the problem is, and finding a solution or two is part of the business of a business administrator. Organized: You, the business administrator, are balancing a lot of hats. You need to keep everything organized, the company is relying on you. Communication: Having the ability to listen, understand, and discuss concerns with co-workers is a key attribute. A charismatic yet approachable communicator can go a long way in the world of business. Education is one of the greatest investments when it comes to your future. Truly qualified and talented business administrators can expect to get a massive ROI on the educational investment, not only in salary but in job satisfaction (and stress!). Most students choose to get a Bachelor’s degree or above in business administration. However, obtaining an associate degrees holds a variety of career options, as well. Tuition can run the gamut, with private schools having higher costs. If cost is a factor, check with your school’s financial aid department to find out about their scholarships and tuition assistance programs. Make sure to learn more about financial aid here. Associate’s Degree: Associate’s degree programs are a great foot-in-the-door option for those going into business administration. An associate’s degree provides entry level positions in areas of study such as healthcare administration, retail management, human resources, and information systems. Fundamentals of business, critical thinking, communications, business software, and project planning are just some courses in the associate’s degree business administration program. Associate’s degrees usually take two years if you attend full time. Tuition for an associate’s degree can cost anywhere between $3000-$9000 per year. Bachelor’s Degree: A bachelor’s degree in business administration prepares you to step into roles such as a human resources generalist, operations manager, marketing specialist, or business analyst. Core courses such as communications, strategic planning, business ethics, leadership, and financial management are part of most business administration curriculum. If you’re getting a bachelor’s degree, expect to be in school for four years minimally if you attend full time. Public colleges can cost $9000 or more per year, while private college tuition, without taking into account the cost of living and school necessities, can cost between $30,000-$70,000 annually. Master’s of Business Programs (MBA): An MBA is an advanced degree in business administration. In some jobs, an MBA might be the minimum requirement. Programs can take one to two years to complete. Some choose to get their MBA through a business school, and others go to a university or college. It’s just a matter of preference. An MBA prepares you for consulting work, advanced leadership roles, and executive director positions. Most MBA programs include advanced level courses in statistics, operations, micro and macroeconomics, marketing, and management. The average tuition cost for an MBA program is $60,000. Online programs are also available for business degrees, and they are extremely popular, particularly for students who need the flexibility. Depending on the degree and online school, costs vary wildly. Be certain the online program you’re taking is accredited. Long story short, getting certifications in your field of business is a great way to ensure getting ahead. Certifications tell hiring personnel that you have the necessary skill set mixed with experience and knowledge to get the job done. On a personal level, certifications will give you a competitive edge over others in the field, especially those who don’t have certifications. It validates you as a business administration professional. Not to mention, the more certifications you have in your field, the higher salary you can demand. Project Management: A project management certification shows you’ll complete a project in a timely manner and on budget. Human Resources: Certification shows you possess excellent people skills. Certification is recommended through HR Certification Institute and Society for Human Resource Management. There’s no reason not to earn both of these certifications. Actuary: Actuaries are a business’s risk managers. Earn a certification through either Casualty Actuarial Society or Society of Actuaries. In the business world, most top executives have a lot of business education combined with a bachelor’s or master’s degree in their background. With a business administration degree, there are so many different career choices that open up. One thing is for certain, business degree holders earn higher salaries than most other professions. The salaries within the following chart are based on some projected highest paid business majors. The comparison is between a bachelor’s degree and master’s degree holder within the same field. The information is compiled by surveys through the National Association of Colleges and Employers. These are the 2017 average starting salaries based on the responses of the participating employers. Notice how most bachelor degree careers make in the $50k range while master’s degree holders earn significantly more and varied salaries. Because there are so many different fields associated with Business Administration, it’s hard to assign it an exact job growth rate. The Bureau of Labor Statistics website sort of lumps all the business and financial careers together and gives an estimate of 9 percent through 2026 for an overall employment growth rate. This makes the growth just a little faster than the average, which is 5 percent-7 percent. The US News and World Report discovered that the fastest growing, most in-demand jobs for MBA’s are financial advisors, fundraisers, medical and health service managers, logistician, human resource specialist, and marketing managers. Chief Technology Officer (CTO): An MBA with a specialization in technology management will see an employment growth of 19 percent through 2026. Computer and Information Systems Managers have an MBA with a specialization in informations systems. Between now and 2026, employment opportunities will grow 12 percent. Financial Managers with an MBA and specialization in finance, along with a certification, will see a growth of 19 percent through 2026. There will be a large growth for employment for Health Service Managers, at 20 percent. An MBA with a concentration in health services is necessary to find employment. Investment Fund Manager employment opportunities will grow 14 percent. An MBA with a focus on finance is the education necessary for this career. Marketing managers who have an MBA with a specialization in marketing will see a 9% employment growth between now and 2026.